This is a laying down bear made from a special fleece blanket sold in aid of children in need. 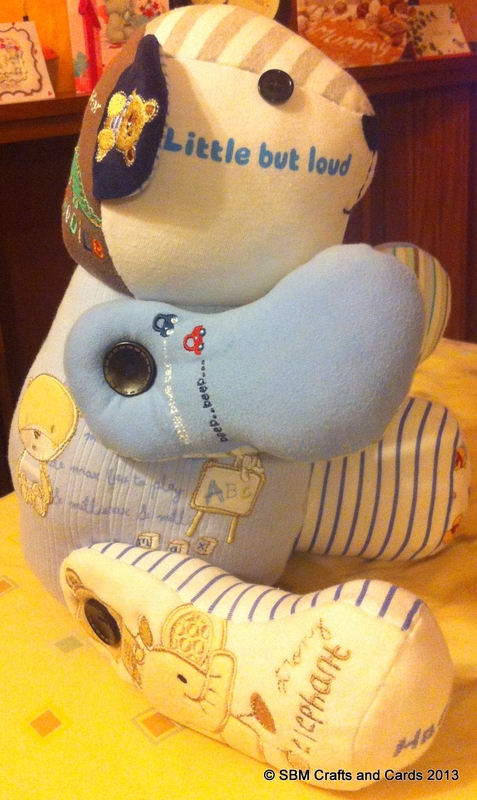 They are £10.50 each including postage and £2.50 from the sale of each bear will be donated to children in need. These are pincushions made in felt as birthday cupcakes. They come complete with approx 25 glass head pins. They are £5 each plus £2 postage. These small memory bears are handmade from between 1 and 8 of your little ones baby-gros and vests. 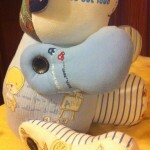 A name and DOB can be embroidered on the underneath of the front paws. 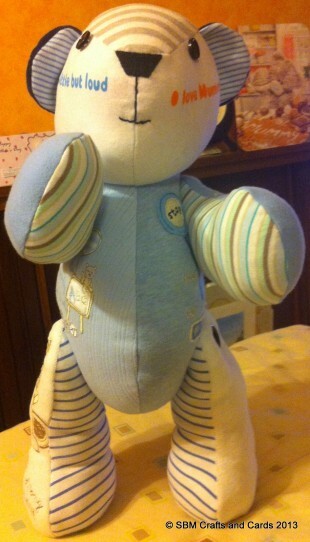 These are large handmade memory bears, they are approx 30cm sitting and have movable arms and legs. 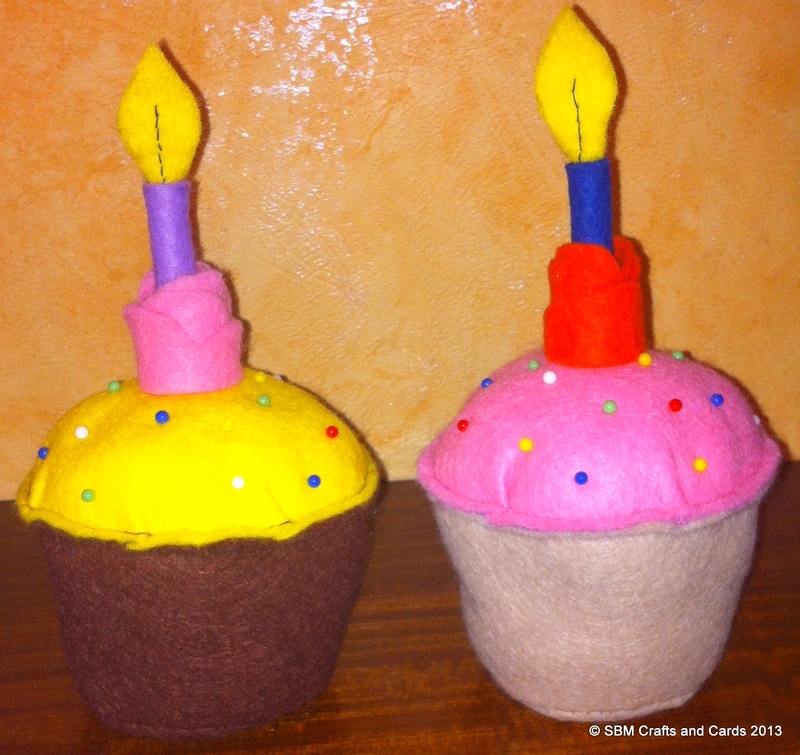 They are made from between 8-12 of your little ones baby-gros and vests. 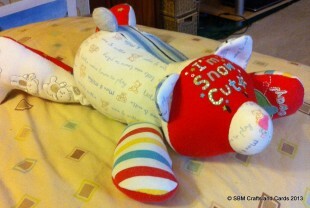 A name and DOB can be embroidered onto the feet pads. Please contact me for current expected delivery times. 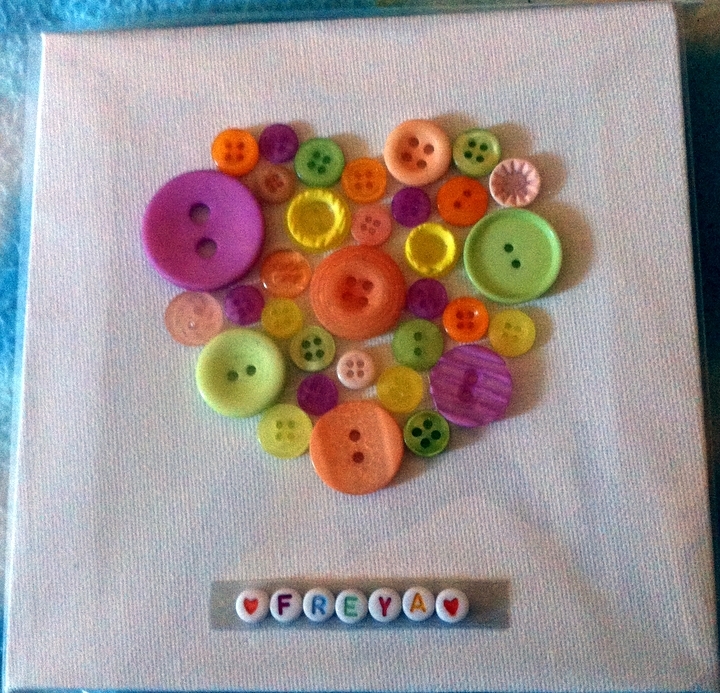 These are personalised button art pictures. 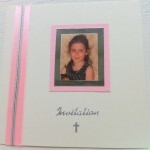 They are made to order and personalised with a name of your choice. I have various designs currently available: Baby footprints in pink/blue, train, heart, cupcake/birthday cupcake, and a sailing boat. More designs to be added. 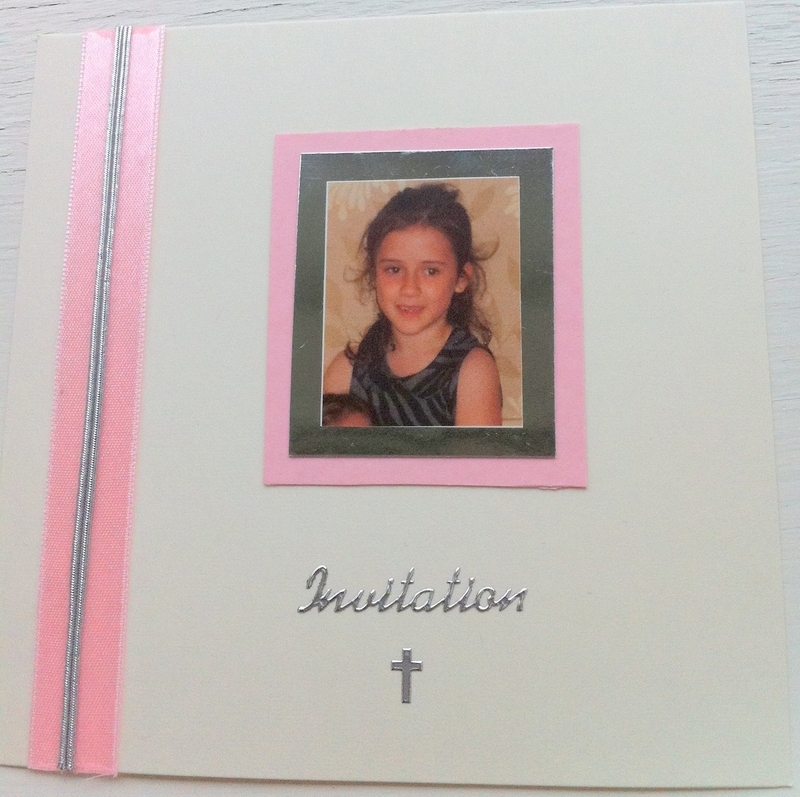 These are unique handmade invitations using a picture of your choice as the main focus point and then embellishments added to match your colour scheme/ theme. 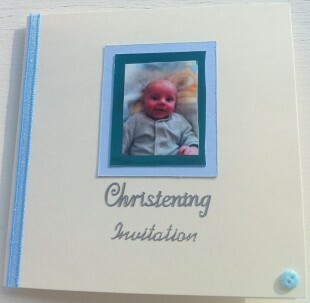 They come complete with envelopes and have the invitation wording on the reverse. 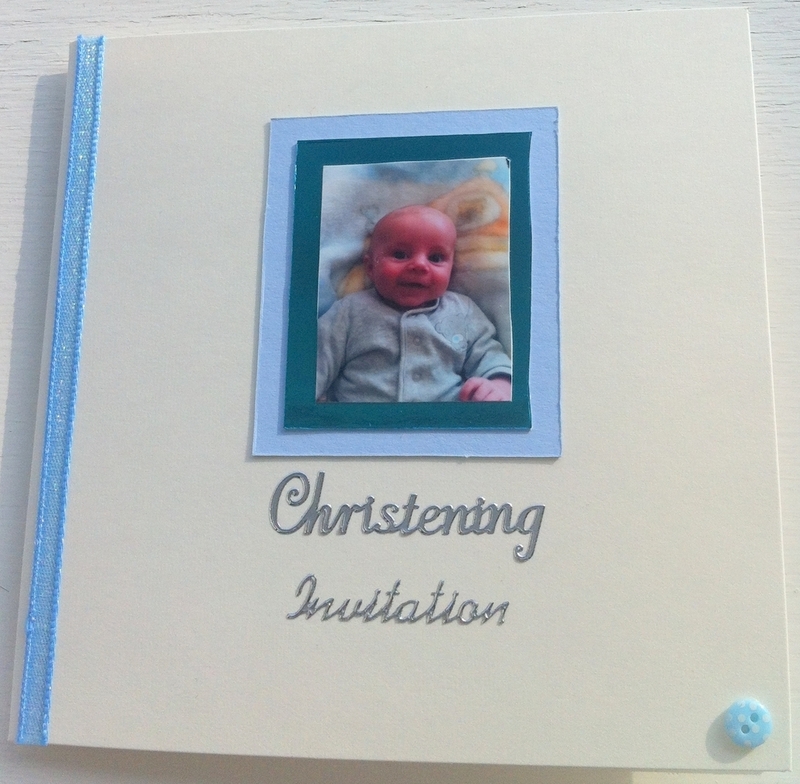 Wedding invitations come with a vellum page over the top of the front to make them that bit more special. They are between 75p – £1.25 each. 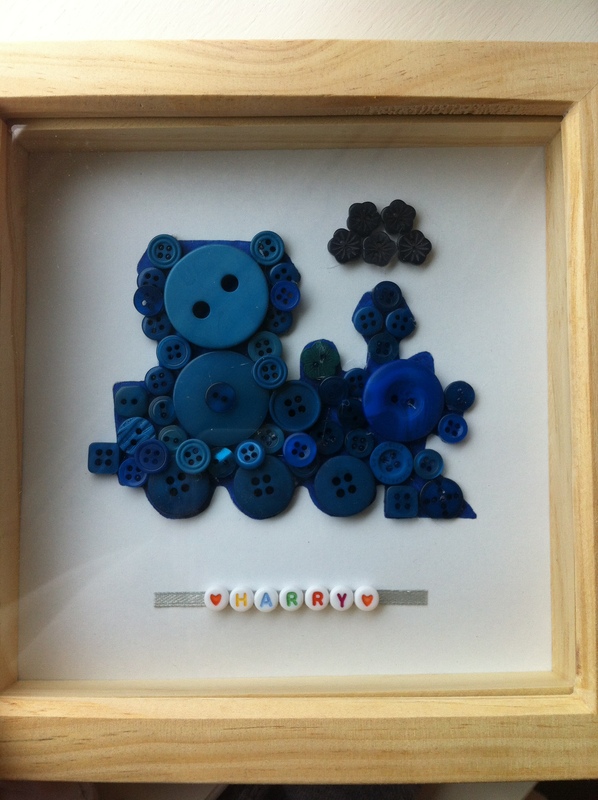 I enjoy making treasured keepsake memory bears from those first baby-gros your precious new bundle wears, button art pictures for the wonderful little people in your life, and fully personalised invitations for those special events in your life, whether it be a christening, wedding, anniversary or birthday party. I now also make footprint canvas using your little ones feet for the prints. 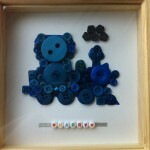 Please note all my handmade items are intended as keepsake items only and not as toys, so unsuitable for under 12’s. 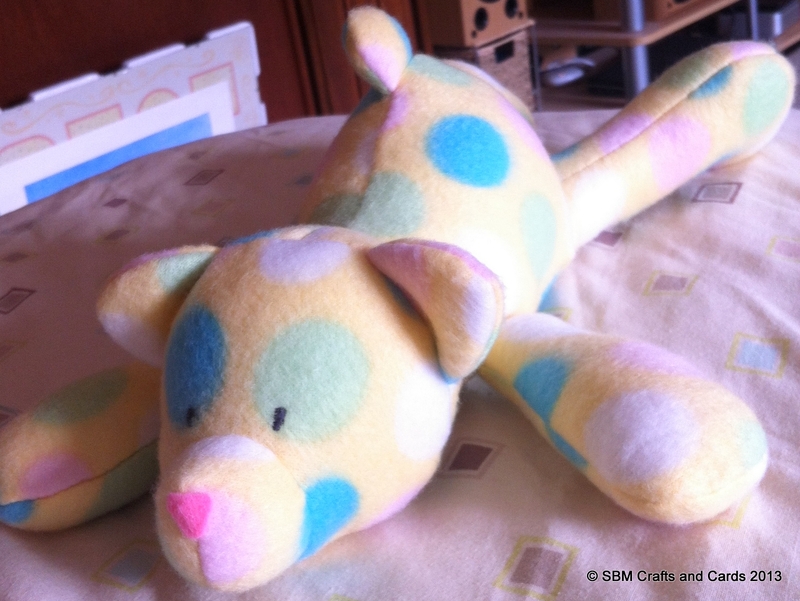 I use patterns from funky friends factory for my sewn items. For up to date news and offers please follow my Facebook page.